Forty-four drivers at O’Hare were recently certified to become “blue shirts,” which means they have access to drive nearly anywhere on the airfield and the surrounding roads. While the training requirements for becoming a “blue shirt” at O’Hare have changed a bit, the honor is still the same. When a bid for new aviation drivers opens, current drivers can choose to participate in the training program to become certified. They are given 60 days from the beginning to the end to learn and complete the requirements. One requirement for program participants is to memorize the aviation alphabet – such as “Whiskey,” “Tango,” and “Foxtrot” to match the letters “W,” “T,” and “F.” These letter associations are used to avoid any confusion – as sometimes a “B” can sound like a “D” – when dispatchers are calling out taxiways to the drivers. Participants are also trained on the air traffic control phraseology and must learn and memorize each phrase for the correct commands in order to communicate over the radio. For example, instead of saying “yes” or “no,” everyone must use “affirmative” or “negative” to answer a question. “Roger” is used to confirm that the last transmission was received. Willis Brazzle was just certified at 79-years-old! During the 60 days, program participants are given visual aids, maps, classroom sessions and one-on-one driving instruction. They are given a mock test on the computers in the training center to prepare for their written exam, which consists of 150 questions. The final test is an airfield driving test which must be performed without any mistakes. The current program has been run this way since early 2014 after administration saw a need to revise it. 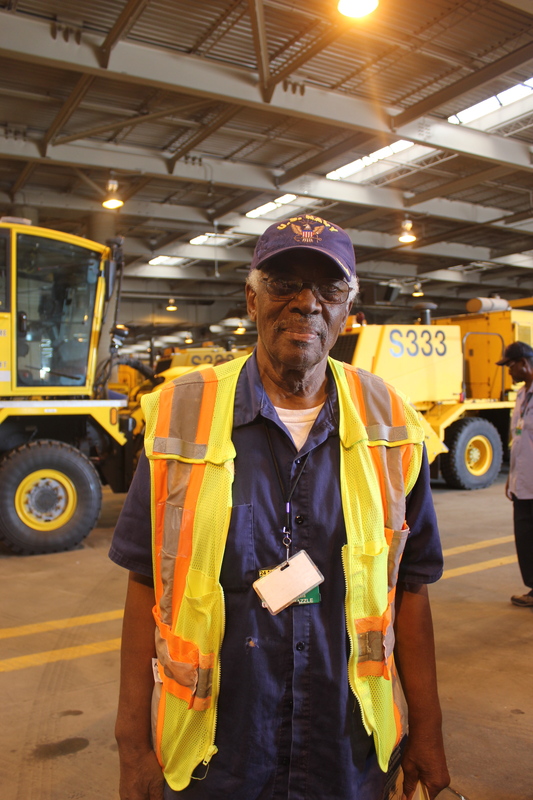 Joe Alesia had previously worked in the airfield as a Teamster and is now serving as an instructor at O’Hare. He also became a certified pilot and helped improve the current program after seeing a need for more personal training. MTD foreman Kevin Martin and MTD and equipment training specialist Wilson Vazquez also helped put the new program together with valuable input as they are the two primary supervisors that maintain day-to-day operations. The new program was soon mandated by the Federal Aviation Administration (FAA) and subsequently the number of runway incursions flat lined at zero last year. Commissioner Helm says that the O’Hare program has been run so well that the FAA has used it as a model for other airport training programs.